Would you like t win Bayern Munich tickets? Win a trip to Munich and enjoy amazing prizes as a result of this ComeOn! Casino promo! Nothing compares to watching Bayern Munich in Bundesliga shortly before Christmas! Not only can you win a trip to Munich and get the Christmas spirit there this September – I’m sure you’ve heard of the famous Munich Christmas market – but what’s even better is that fact that you can win Bayern Munich tickets if you play at ComeOn! Casino! 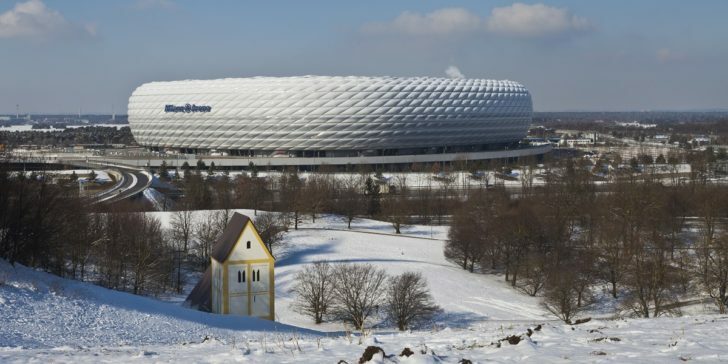 The best online casino in Sweden gives you the best Christmas present to watch Bayern Munich v Nürnberg Bundesliga match live from Allianz Arena, will you take it? Don’t forget to see the latest review about ComeOn! Casino either! …and Watch Bayern v Nurnberg match live at Allianz Arena! Check out the latest online casino promotions in Sweden! To learn more about the best Online Casino Sites in Sweden, have a look at the Online Casino Reviews section. Win Spotify Premium for a Month at the Best Online Casino in Norway!